A new Unibroue beer? Hmmm, OK, I'm definitely game for this as they brew some awesome beers. A Tout Le Monde is a dry-hopped Belgian-style saison. 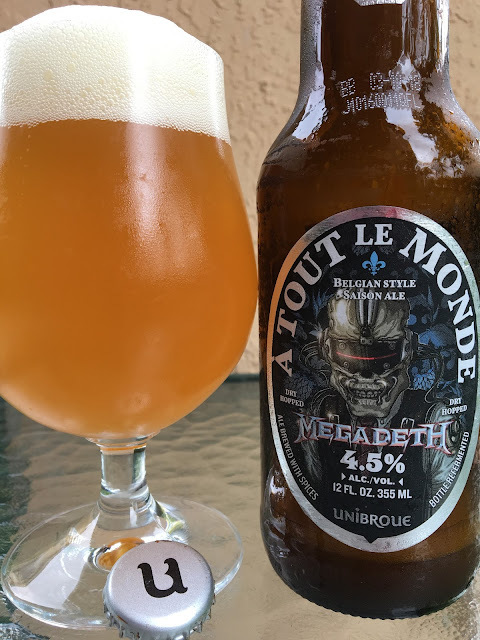 The title means "To Everyone" in French and is also the name of a Megadeth song, an apparent inspiration for the beer. Beyond that, the bottle offered zero other clues to this collaboration or the beer itself (and the rep from the distributor that was stacking up cases at the liquor store knew even less.) Anyway, looking around the internets, I saw this beer was brewed to celebrate the 55th birthday of Megadeth's Dave Mustaine. I guess when you're a heavy metal rocker, 55 is the new 75 and you better take advantage of your time. 4.5% alcohol. Best By 03-10-18. Fruity, citrus and spicy aroma with plenty of Belgian yeast. Orange and orange rind flavors come first with some more subtle peach secondary. Hoppy but not overly so and definitely not bitter. Excellent creamy texture. Subtle, delicate flavors with lots of little nuances. The yeast character definitely stands out. Spicy, maybe some clove, but not really discernible. While enjoyable, this beer was MEGA-NOTHING. Super subtle and soft flavors. 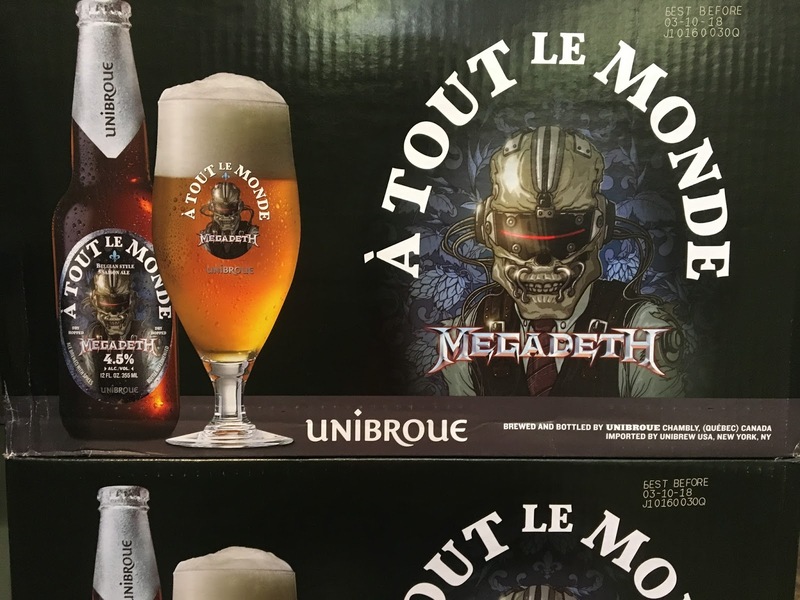 Megadeth and Dave Mustaine are indeed weird partners for this beer. Anyway, check it out!